7 Cent's Big 'n Beardy has the honour of being the first bottled beer ever sold at Tru Bru. It's a highly limited Russian Imperial Stout (only 480 were bottled) from the boys down in Gisbourne. It also has some of the best artwork of any Australian beer I've ever seen - check out Putin's face in this link. 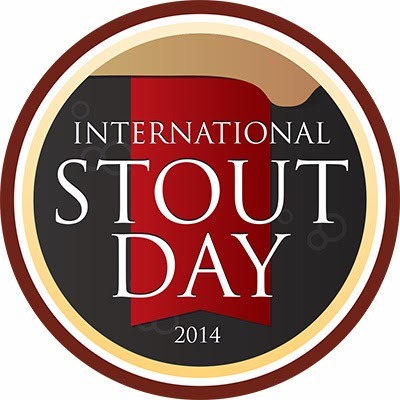 International Stout Day is an event that has been created in recent years to honour the great beer category that is Stout. Every year it's been held in early November and this year it was on the 6th. To get this badge all you had to do was check-in a beer on Untappd that came from the Stout family. This one was poured into my Spiegelau Stout glass (if you love stouts you NEED one of these!). 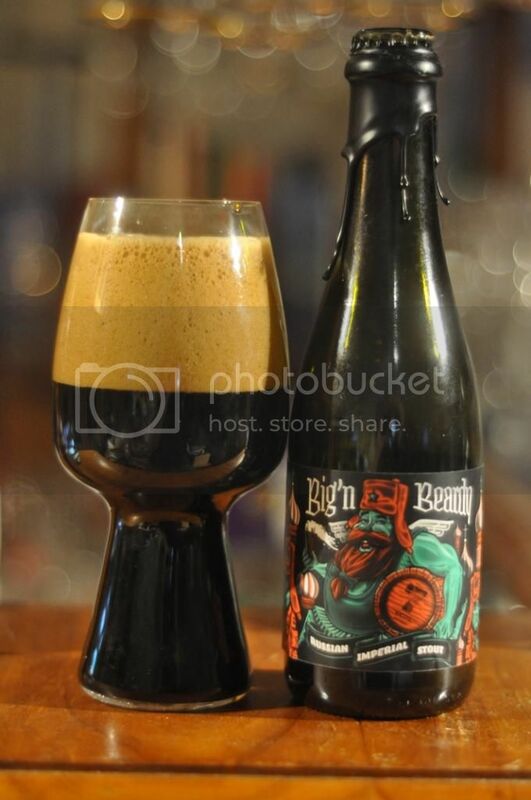 The pour is just perfect with a brilliant black body topped by a huge head of dark tan foam. It's retention is quite good with at least a finger there for most of the drinking. These stout glasses lace particularly well, yet Big 'n Beardy left the most lacing I've ever seen on this glass. It's a simply stunning looking Russian Imperial Stout! 7 Cent will be pleased to hear that the nose didn't let down the fantastic appearance of this beer. There's plenty of coffee and roast, as to be expected, as well as cherry and some other dark fruits. The most intriguing part for me though is this oaky whiskey aroma. Further research shows that this beer was aged in the same barrels as Aurora Borealis! I was really impressed with the taste of Big 'n Beardy as well. The aroma was quite indicative of the flavour, with coffee, roast and dark fruits all prominent. The whiskey oakiness was quite in your face but was a good point of difference from a lot of the roast/chocolate bombs I've been drinking recently. Big 'n Beardy is actually the first commercially released beer that these guys have bottled - what a spectacular debut! I highly highly recommend this beer, it's a big Russian Imperial Stout which really gained some welcome complexity from the month's it spent in the original Aurora Borealis barrels. It was a worthy beer to celebrate International Stout Day with. As mentioned earlier it's very very limited so if you find it, buy it!